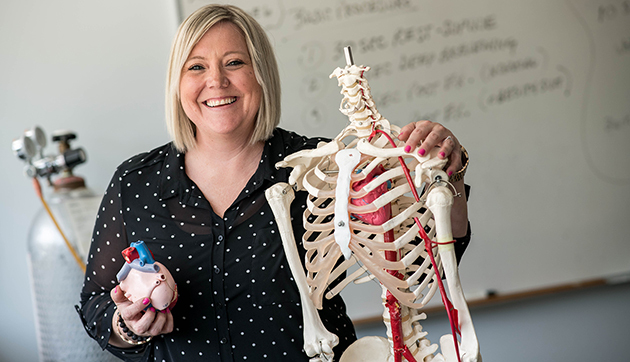 As a lab instructor in the Kinesiology program at UFV, Amber Johnston’s primary job is to teach students the applied ‘hands on’ portion of their anatomy and physiology courses. But she brings much more to her faculty position. 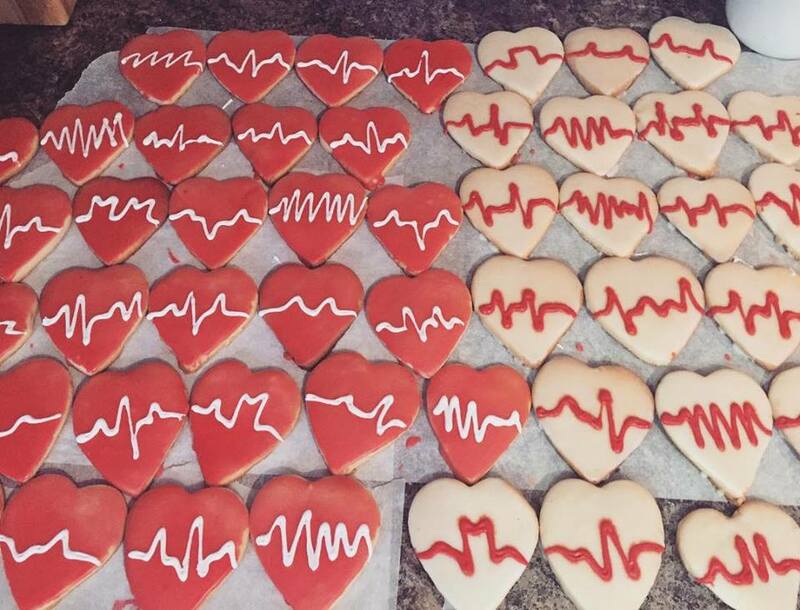 You could say that she puts her heart into it. And for her commitment to her students, the Kinesiology department, the Faculty of Health Sciences, and the university as a whole, Amber is the inaugural recipient of the UFV Faculty Service Award, given to a faculty member who goes above and beyond when it comes to service. “Amber is the embodiment of the characteristics at the heart of this award and an ideal candidate for it,” notes kinesiology faculty member Chris Bertram, one of her nominators. Amber’s service work includes curriculum design, community liaison for special externally focused kinesiology projects and student volunteer opportunities, and presentations to community groups on topics such as exercise, aging, inflammation, and heart disease. These have included auditory and pulmonary function testing in clinics run through the Healthy YOU-FV iniative and blood pressure testing clinics for the City of Chilliwack. She is also well known for her extracurricular student-focused initiatives. 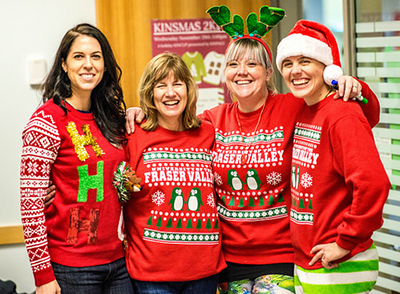 She helped found the KIN Cup and KINSmas, two fun events that encourage community building among kinesiology students. And she played a key role in establishing the KINPALS student mentorship program. She also actively supports the participation of kinesiology students as Supported Learning Group leaders. She is also a member of a group working to establish a university wide strategic plan for student orientation. Amber also organizes and attends orientations and open houses for new kinesiology and health sciences students and participates in kinesiology-focused outreach to high schools and current UFV students. Her involvement at UFV didn’t start when she was hired as a sessional faculty member and then became a full-time lab instructor. She was also one of the first graduates of the Bachelor of Kinesiology degree program in 2002. 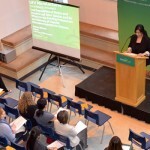 She went on to graduate studies at Simon Fraser University, earning a Master of Science in biomedical and exercise physiology in 2005, and joined UFV as a sessional instructor soon after. 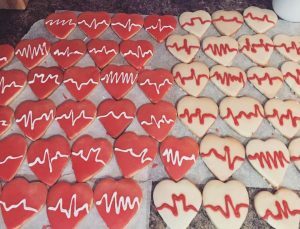 In fact, she’s noted for baking ECG heart-shaped cookies for her students before their anatomy exams or bringing other baked treats to celebrate end of term. Her encouragement of student involvement in extracurricular kinesiology activities is aimed at fostering community. “I had a really supportive peer group in my undergrad and I am always trying to help create that for current students. We want to create a hub of support so they’re not just taking classes and leaving without interacting. And the students appreciate her efforts. Amber is also active in her Maple Ridge community, coaching her two young sons’ baseball teams along with her husband.